Use Recycled Lumber & Plywood! Did you know that you could build almost anything with recycled plastic plywood? From green houses to birdhouses to garage door replacements, plastic plywood is gaining in popularity to help keep our planet green. What is Recycled Plastic Plywood? Bear Board, a subsidiary of Engineered Plastic Systems, LLC produces plastic plywood from recycled high-density polyethylene (HDPE) plastic. Plywood is made from everyday plastics found right in your home like milk jugs and laundry detergent bottles. Instead of filling up our landfills with more and more harmful plastics, this type of plastic plywood is not only environmentally friendly, it's building capabilities are endless. Along with helping our environment, the benefits of plastic plywood versus wood are many. Protecting Our Forests - Unlike wood plywood made from trees, plastic plywood is made from recycled materials keeping our forests and trees safe. Durability - Plastic plywood is more durable than wood and most companies that produce it offer up to fifty-year guarantees. Wood plywood often needs to be replaced. Plastic plywood offers minimal or no replacement. No Termites - Wood can be a breeding ground for termites. Plastic plywood is a great alternative and natural termite deterrent. Maintenance - Plastic plywood is easily cleaned. If used on a structural building it can be power-washed. Decks can be easily rinsed with your garden hose with little or no scrubbing. Tool Compatibility - You don't need to buy special tools when working with plastic plywood. Use your saws, planes and routers on plastic plywood. You can even buy recycled plastic screws or use regular metal screws. Stain Resistant - Plastic plywood is also stain resistant as nothing will permanently adhere to the surface. Color Selection - Find plastic plywood in various colors and skip staining or painting to keep harmful volative organic compounds (VOCs) out of the atmosphere. Contraction and Fading - By using plastic plywood instead of wood; you'll gain decreased expansion and contraction and have absolutely no fading. Recycle Benefits - Recycling centers are able to remain open and free to the public as they sell materials to plastic plywood manufacturers at a minimal expense. When comparing prices for plastic plywood to wood, the price difference was a surprise! Most companies offer recycled plastic plywood at prices that are only three to five percent higher than wood. The small increase in price is worth it, especially when you remember that it's termite resistant, waterproof, soundproof, corrosion free, and eco-friendly. You can find plastic plywood at some home building centers or use your search engine browser and type in recycled plastic plywood to find local suppliers. You'll find numerous distributors in many areas of the United States. Like the company Bear Board, many manufacturers offer installation tips, free samples, and project calculators. 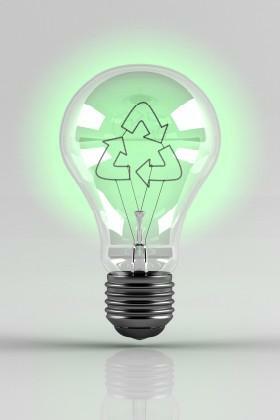 Want to start the green initiative in your neighborhood? Hop on board the green building wagon and use recycled plastic plywood for your next home project! Not only will you be helping the environment, your building projects will last a lifetime.